Author Corinne Zupko, a licensed counselor and Mindfulness-Based Stress Reduction teacher, undertook her study of psychology out of necessity when debilitating anxiety threatened to derail her life. Seeking ways to do more than temporarily alleviate her symptoms, Corinne began to study A Course in Miracles (ACIM), mindfulness meditation, and the latest therapeutic approaches for treating anxiety. 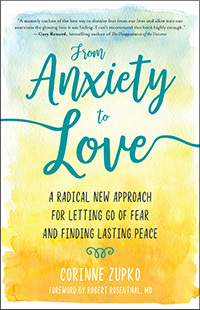 As Corinne healed her own mental anguish, she compiled the perception-shifting process she describes in From Anxiety to Love: A Radical New Approach for Letting Go of Fear and Finding Lasting Peace. We hope you’ll enjoy this short excerpt from the book. To make the journey into the Now we need to leave our analytical mind and its false created self, the ego, behind. 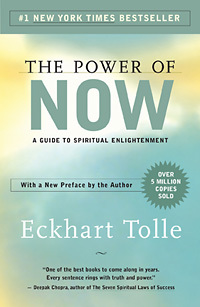 Although the journey is challenging, author Eckhart Tolle, in his New York Times bestseller The Power of Now: A Guide to Spiritual Enlightenment, uses simple language and an easy question-and-answer format to guide us. A word-of-mouth phenomenon since its first publication, The Power of Now presents Tolle’s profound yet simple teachings that have helped countless people throughout the world find inner peace and greater fulfillment in their lives. At the core of his teachings is the invitation to transform consciousness, creating a spiritual awakening that he sees as the next step in human evolution. We hope you’ll enjoy this excerpt from the book. 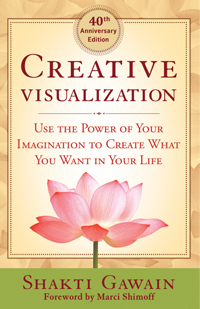 New World Library cofounder Shakti Gawain’s clear writing style and vivid examples make her international bestseller Creative Visualization easy to apply to your personal needs and wants. Her groundbreaking work has found enthusiastic followers in every country and language in which it has been published, and Shakti’s simple yet powerful techniques are used successfully in many diverse fields, including health, education, business, sports, and the creative arts. Whether you read it for general inspiration and empowerment or to achieve specific goals, Creative Visualization remains a profoundly powerful resource from a uniquely warm and wise teacher. We hope you’ll enjoy this short excerpt from the 40th Anniversary Edition of the book. Listen to an uplifting conversation, recorded live in June 2018 at Copperfield’s Books in Novato, California, with beloved New World Library authors Marc Allen, SARK (Susan Ariel Rainbow Kennedy), and Scott Stabile, who offer inspiring perspectives and practical advice for dealing with doubts and fears so we can use our lives to make a positive difference in the world. Hosted by New World Now podcast host Kim Corbin, we hope this discussion lifts your hopes and helps you see how you can make a difference in your own life.